Enter coupon code “turkey” at checkout to receive 30% off your entire order, including sale items. Black Friday sale at ftebrand.com/shop. Don’t go getting into that traffic and crowds. Instead, go to our convenient online store and use coupon code “blackfriday15” for 30% off your entire order. Veterans Day v. Memorial Day – What’s the Difference? Many people confuse Memorial Day and Veterans Day. Memorial Day is a day for remembering and honoring military personnel who died in the service of their country, particularly those who died in battle or as a result of wounds sustained in battle. While those who died are also remembered, Veterans Day is the day set aside to thank and honor ALLthose who served honorably in the military – in wartime or peacetime. In fact, Veterans Day is largely intended to thank LIVING veterans for their service, to acknowledge that their contributions to our national security are appreciated, and to underscore the fact that all those who served – not only those who died – have sacrificed and done their duty. 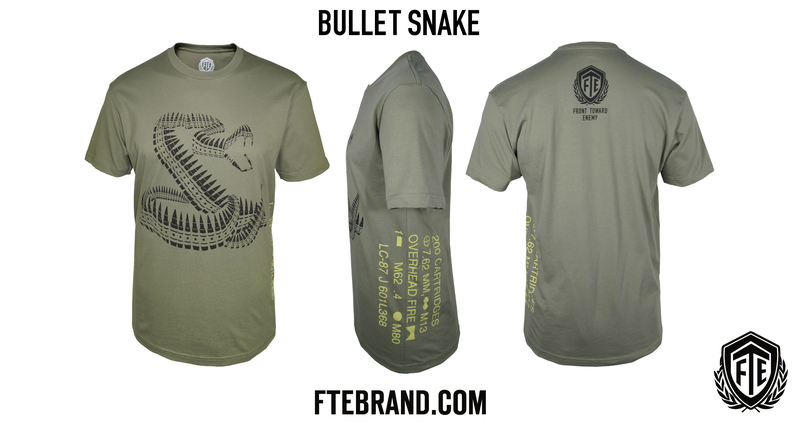 The Bulletsnake shirts are back in stock in all sizes!!!! Red Erwin was born on May 8, 1921, in Adamsville, Alabama. He enlisted in the U.S. Army Reserve on July 27, 1942, and entered the Aviation Cadet Program of the U.S. Army Air Forces on February 3, 1943. After being eliminated from pilot training, PFC Erwin was assigned to the 603rd Training Group at St Petersburg, Florida, from June to July 1943, and then to the 305th Technical School at Keesler Field, Mississippi. 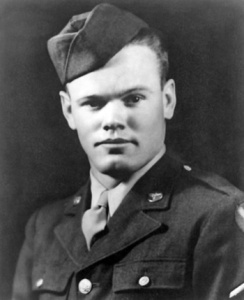 He then completed the Radio Operator and Mechanic School at Sioux Falls, South Dakota, in February 1944, followed by advanced training at Truax Field, Wisconsin, in April 1944. 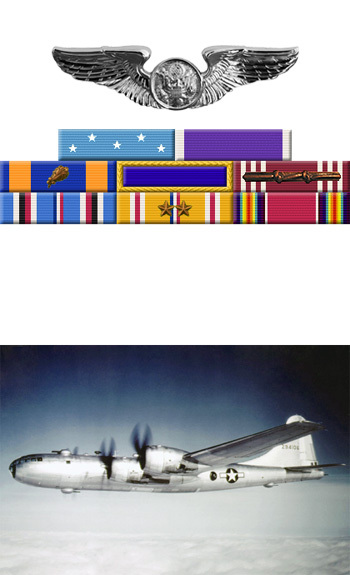 His next assignment was as a B-29 Superfortress radio operator with the 52nd Bomb Squadron of the 29th Bomb Group at Dalhart, Texas, from April 1944 to February 1945, and then deployed to the Pacific Theater from February 1945 until he was badly injured while flying his 11th combat mission aboard the B-29 “City of Los Angeles” on April 12, 1945, during a mission in which he would later be awarded the Medal of Honor. After undergoing many surgeries for his burns, he received an honorable discharge on October 8, 1947. He and his wife Betty were married on December 6, 1944, and had one son and three daughters together-Hank, Bette, Nancy, and Karen; as well as eight grandchildren and five great-grandchildren. Red Erwin served with the Veterans Administration for over 30 years after leaving active duty, and died on January 16, 2002. He was buried at the Elmwood Cemetery in Birmingham, Alabama. His son, Hank Erwin, has served as an Alabama state senator since 2002. David Christian was born on October 26, 1948, in Philadelphia, Pennsylvania. He enlisted in the U.S. Army on September 6, 1966, and completed basic training at Fort Jackson, South Carolina, in November 1966, followed by advanced individual training as an infantryman at Fort Ord, California, in January 1967. PFC Christian was then accepted into Infantry Officer Candidate School at Fort Benning, Georgia, and was commissioned a 2d Lt on August 1, 1967. After completing airborne training and Special Forces training, Lt Christian was assigned to the 1st Infantry Division in South Vietnam in June 1968. He transferred to 1st Battalion of the 26th Infantry Regiment in September 1968, and was badly wounded in combat in October 1968, returning to the U.S. in January 1969. Capt Christian was treated at Valley Forge General Hospital, Pennsylvania, until he was medically retired from the Army on July 3, 1970. 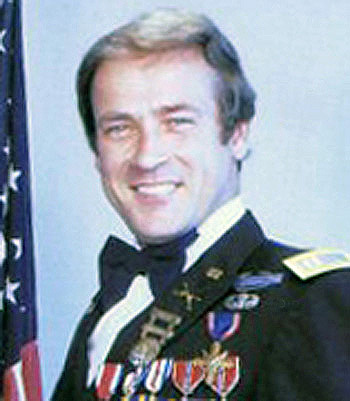 David was elected National Commander of the Legion of Valor in 1978, and served with the Council of Vietnam Veterans, United Vietnam Veterans Organization, and the Vietnam Veterans of America. For extraordinary heroism in connection with military operations involving conflict with an armed hostile force in the Republic of Vietnam: First Lieutenant Christian distinguished himself by exceptionally valorous actions on 29 October 1968 while in charge of the lead element of a reconnaissance-in-force mission ten miles northwest of Quan Loi. During an attempt to flank enemy positions, Lieutenant Christian’s nine-man unit came under heavy rocket-propelled grenade, small arms and automatic weapons fire. After firing several light antitank weapons, he led an assault on the hostile strongholds, killing three North Vietnamese and causing the others to flee. As he and his comrades advanced they again received intense small arms and machine gun fire and three men were wounded. Lieutenant Christian sent the casualties and the medic to the rear, and then led his troops forward until they became pinned down within ten meters of a bunker. Disregarding his safety, he assaulted the fortification single-handedly and destroyed it with hand grenades. The communists were reinforced by approximately thirty men, forcing the reconnaissance team to take cover behind a berm. Despite the enemy’s devastating fire superiority, Lieutenant Christian attacked them with two antitank weapons. He was painfully wounded in the hand, but refused medical care and returned to the berm to direct artillery fire. When friendly reinforcements arrived two hours later, he directed them to cover his left flank while he attempted to evacuate his casualties. Although wounded again by an enemy rocket-propelled grenade, he did not permit himself to be treated until the other injured men had been evacuated. First Lieutenant Christian’s extraordinary heroism and devotion to duty were in keeping with the highest traditions of the military service and reflect great credit upon himself, his unit, and the United States Army. What’s better than FTE Brand gear? 15% off your next order! 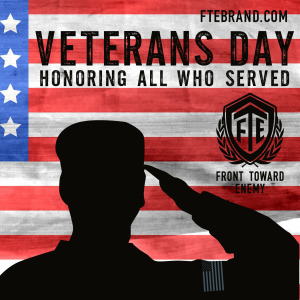 Front Toward Enemy Brand is offering Black Friday discounts all week long. Using the discount code”blackfri” will give you 15% off your entire order. Sgt Omar Avila was introduced to FTE through a mutual friend. This friend, a fellow solider and wounded warrior, told us about Omar and his quest to become a competition weight lifter despite his injuries sustained in combat. 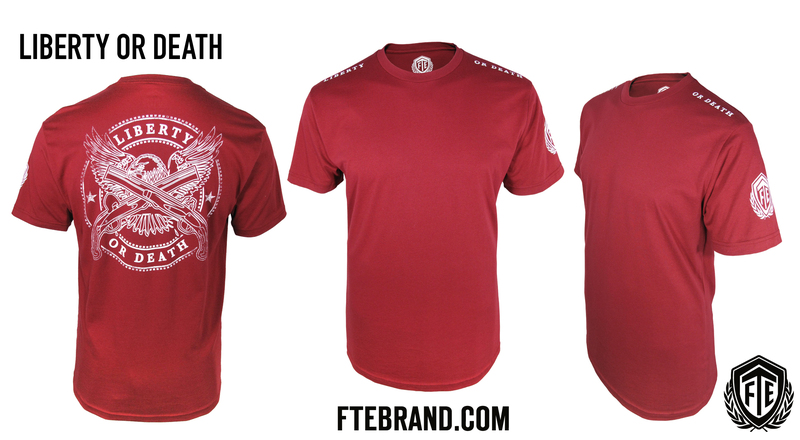 Front Toward Enemy Brand is proud to announce Omar as the newest member of Team FTE. 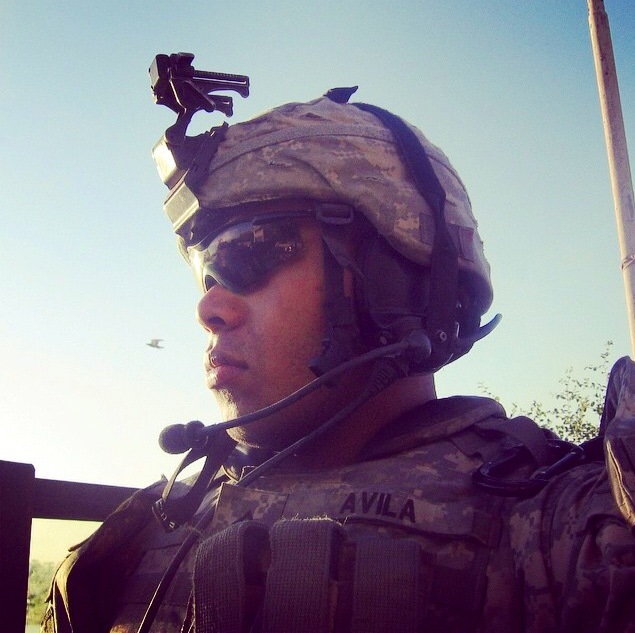 Avila, a Brownsville, TX native, joined the US Army in 2004. He proudly served as an infantryman with the 26th Regiment of the 1st Infantry Division a/k/a Blue Spaders. On May 14, 2007, Omar was serving in Iraq when is vehilce was struck with a 200lbs IED. Avila sustained burns to 75% of his body and had to have a partial amputation of his right foot. Avila retired from the Army in 2010. Avila’s real service began after retirement. He now works as a mentor to wounded war fighters and advocates for veterans in every way conceivable. Avila also entered the world of competitive weight lifting. 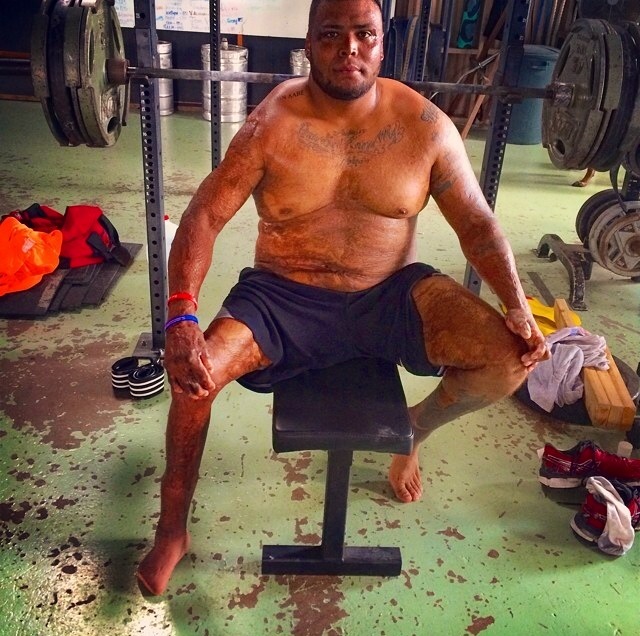 FTE Brand supports Avila in his quest to break world weight lifting records and to shatter people’s perceptions of the limitations of a devastating injury. FTE is proud to support you Sgt Omar Avila! Thank you for your continued service to this country and veterans everywhere.